First off: I've returned to writing historical fiction. 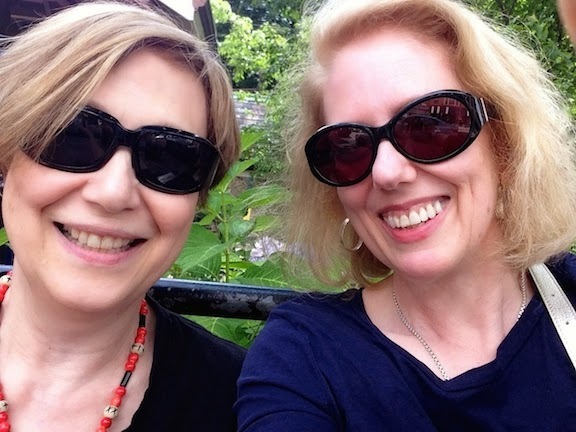 I've also returned to being Susan Holloway Scott, while Isabella Bradford, my historical romance name, has gone on hiatus; it's all part of having multiple pseudonyms, and being a Gemini, too. 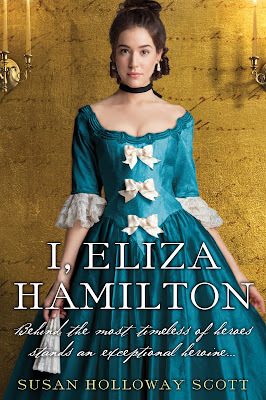 Like so many women of the past, Eliza's story has been overshadowed by her brilliant husband. She didn't help her place in posterity by destroying most of her own letters and virtually eliminating her voice. As a result, she's too often been dismissed by (male) historians, who variously describe her as shy and reclusive, a homebody, a saint. But the real Eliza's still there: in the letters of others who knew her, in diaries, in portraits, in memoirs, and most of all, in the achingly beautiful love letters her husband wrote to her over the years of their courtship and marriage. She was a mother, daughter, sister, and wife. She was intelligent and resourceful and strong, a woman who lived in the thick of some of the most turbulent and exciting times in American history. Her marriage was filled with love, passion, regard, and devotion, but also marred by public scandal and unimaginable tragedies that broke her heart, but not her spirit. I'm honored to tell her story. Over the next months, I'll be sharing more here on the blog about Eliza and her life and times, as well as discoveries from my research junkets. You can also read a bit more about the book here in a recent post on Bustle.com. Eliza sounds fascinating and deserving of her own story. So happy that you two are back! I missed my morning blog posts with my coffee, but new books are worth it. Can't wait for this one, Susan. Hope to hear about yours next, Loretta! Welcome back! As a major Hamli-fan, I can't WAIT for this book! I am so glad to see you both and both of you look lovely. I look forward to the book on Mrs Hamilton. It is amazing to me that people do not seem to understand "history is people". They were not saints, but human beings who led amazing lives. I know I am going to love this book. This looks great, and what a gorgeous cover! What a great read this will be. Congratulations. Exciting.